To be loved by an African Mama is to really know deep love. It was on my first trip to Rwanda that I understood this. I began to notice the children. Happy, smiling, laughing and full of wonder and love. It’s unusual to hear a child crying in Rwanda. You simply do not hear it. Despite deep poverty, wearing tattered clothing and playing with a ball constructed of torn up knotted t-shirts, the children know and radiate love. That’s when I noticed the moms. Always working and keeping a watchful eye on the children. Making a meal to serve 6 or more out of a handful of rice, beans and sorghum. Tending fires, washing laundry and carrying water many miles each day. The majority of moms carry out these daily tasks with their smallest infant on their back. Despite long days filled with work, there is always laughter and smiling. 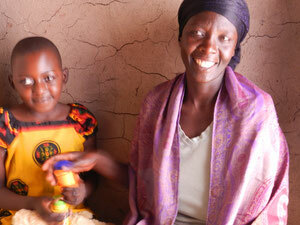 The moms I observed were finding joy in their days, despite conditions of poverty. I remember meeting Charlotte. She is my favorite African mom, a woman I have deep affection for. Charlotte and her daughter Kevan lived in 8 foot x 10 foot room constructed of mud walls, a dirt floor and corrugated metal roof. They shared a small mat on the floor in the back of the room. A table and two rickety wooden benches were in the front of the room, and a cook pot was outside the door. We were visiting Charlotte, a palliative care patient diagnosed with metastatic cervical cancer, to evaluate her symptoms and medications. Kevan, curious about my white skin, sat close to me and watched me intently. I began to hear more of their story. 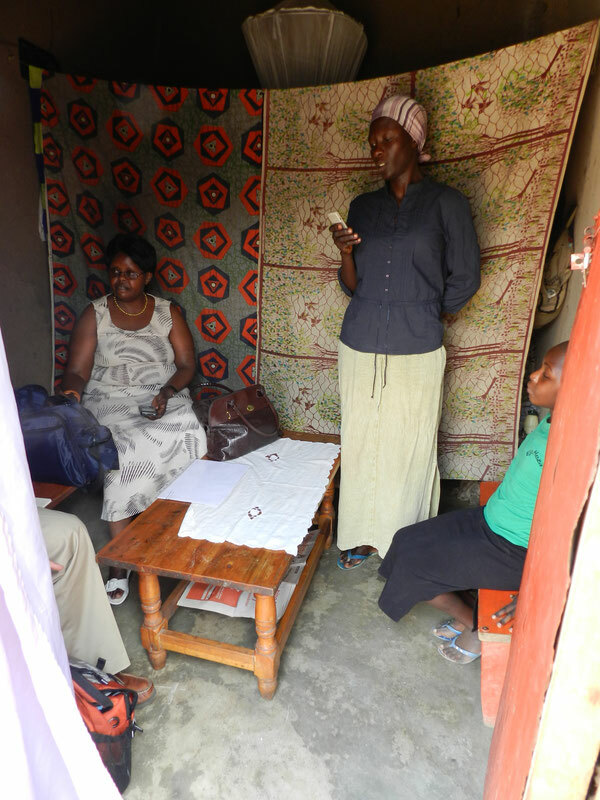 Charlotte lost her husband and sons to HIV some years before. Both Charlotte and Kevan are HIV positive. During the story Charlottes eyes rarely left Kevan. Charlotte shared her worry about Kevan, and conversations with God late at night at night when Kevan is sleeping next to her on the mat. She pleaded with God to take Kevan first so Kevan will not know being an orphan, and later pleads with God to take her first, and spare Kevan so she may know a long life. She finishes the story by saying “we’re all each other has,” and sharing their morning ritual with me. They have made a promise to one another to carry out each morning in which they. Whichever of the two wakens will awaken the other, so they may celebrate making it through the night. Since that trip much has happened to Charlotte. The palliative team helped to move Charlotte and Kevan to a larger home. Kevan’s health began to deteriorate; she developed heart failure and was hospitalized many times. Each visit we would find her more and more frail. Kevan died in 2014. Charlotte joined our first grief and bereavement workshop later that same year, where we called her “mama Kevan” for the two week workshop and she cried and shared her journey with Kevan, and what it meant to be Kevan’s mom. Charlotte has moved into a home supported by a Catholic church, her own health is failing. She continues to be followed by the palliative care team. Although this Mother’s Day story has a sad thread running through it, it captures something important and essential. It’s an invitation to stop in our day and honor those who have lost their mom, and those moms who have lost a child. I pause today to honor Charlotte a true African mama. Despite serious illness, poverty and an uncertain future, Kevan knew joy every day. She laughed, and sang, and played when she felt good. She felt loved and radiated love. Thanks for your personal marvelous posting! I quite enjoyed reading it, you will be a great author.I will always bookmark your blog and will eventually come back later in life. I want to encourage one to continue your great writing, have a nice day! I am really so much happy to find different articles on mothers day tribute to an African mama. Every article will help us without borders on mother day education.